The Decanterlights, each made from lead hand cut crystal, are designed to glow in clusters creating a majestic and sensual centrepiece where ever they hang.The original Decanterlight collection was released in May 2010 using vintage decanters sourced from flea markets, following the launch of Lee Broom’s bar and restaurant design Coquine in London which won Elle Decoration UK’s British Design Awards for Best Interior.Due to the rarity of the vintage decanters caused by the success of the Decanterlight range, we released a new Decanterlight collection with our own design of cuts. 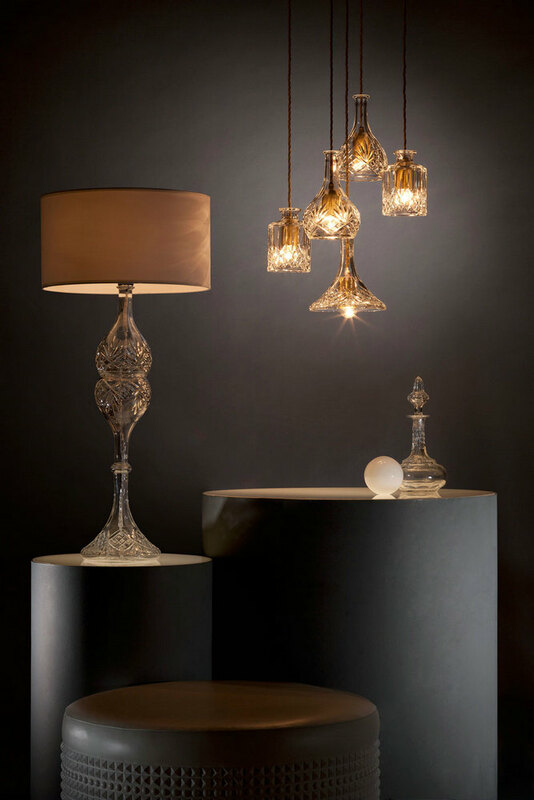 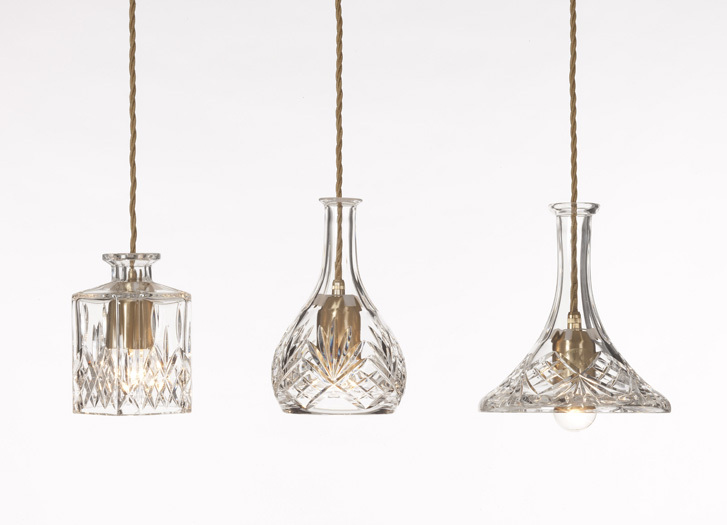 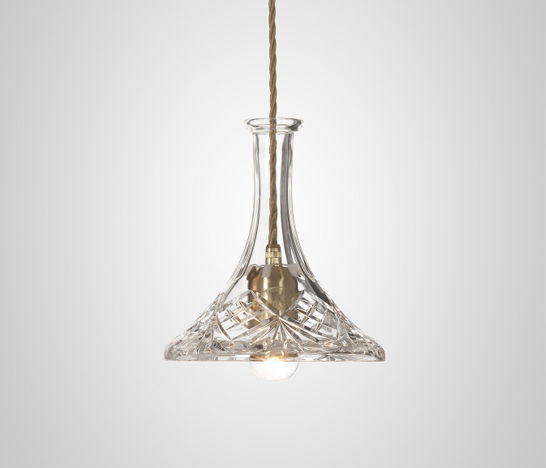 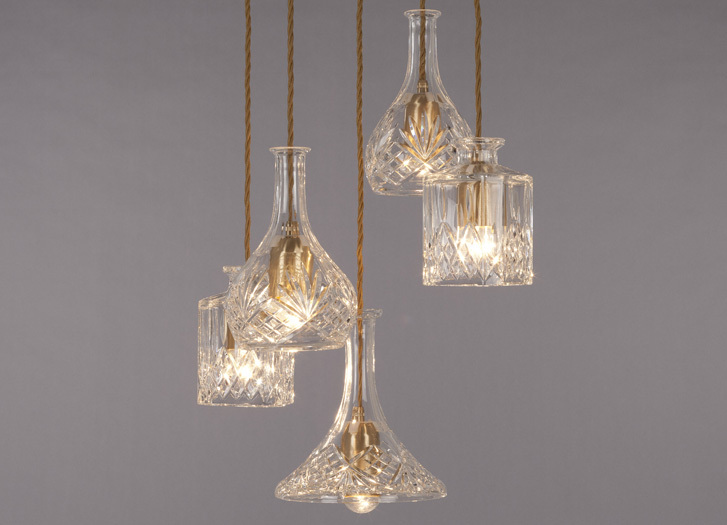 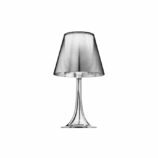 Each Decanterlight is hand crafted and hand cut lead crystal and each shade shape will be consistent in size, outline and glass cut pattern which is inspired by the vintage collection. The Decanterlights, each made from lead hand cut crystal, are designed to glow in clusters creating a majestic and sensual centrepiece where ever they hang. 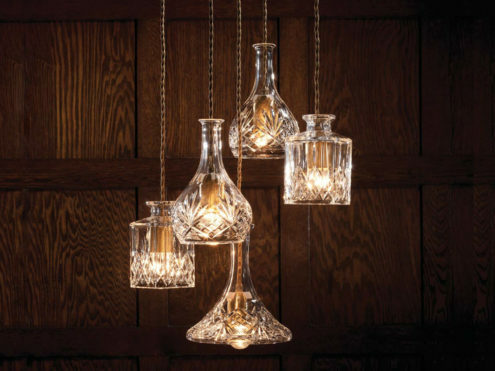 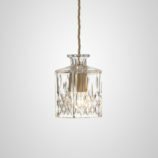 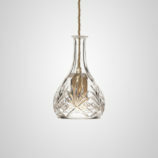 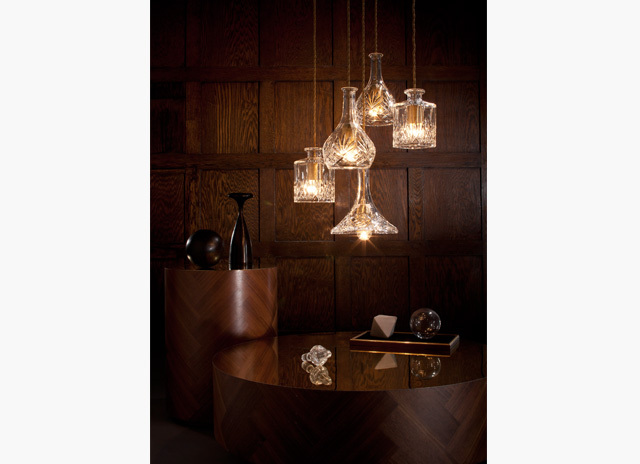 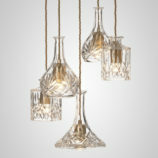 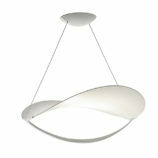 The original Decanterlight collection was released in May 2010 using vintage decanters sourced from flea markets, following the launch of Lee Broom’s bar and restaurant design Coquine in London which won Elle Decoration UK’s British Design Awards for Best Interior.Due to the rarity of the vintage decanters caused by the success of the Decanterlight range, we released a new Decanterlight collection with our own design of cuts. Each Decanterlight is hand crafted and hand cut lead crystal and each shade shape will be consistent in size, outline and glass cut pattern which is inspired by the vintage collection.